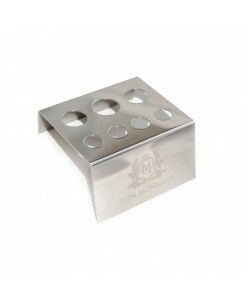 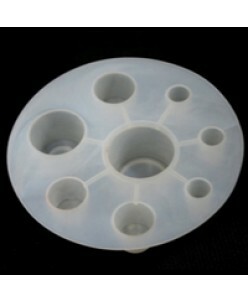 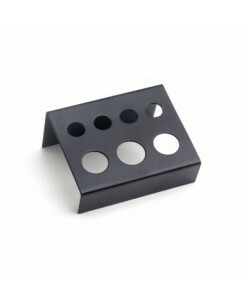 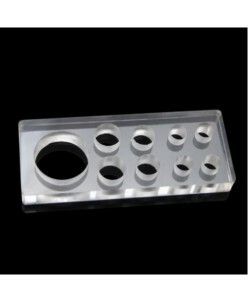 It has 16 holes for ink cup: 4 large holes, 5 medium holes and 7 small holes.Made of high quality plastics, more durable.Perfect for organizing and placing pigment or ink for tattoo.Suitable for both professional use and home use.Unique design and beautiful appearance make it nice to match your room decoration.Specifications:Typ..
Acrylic pigment caps holder Nr.16 (11 halls)..
Acrylic pigment caps holder Nr.18 (9 halls)..
Acrylic pigment containers holder Nr.4 9 places for pigment containers ..
Black Metal caps holder 7 holes..
Goochie pigments caps holder (8 holes) ..
Metal caps holder 23 holes ..
Pigment caps holder Nr.17 (15 halls).. 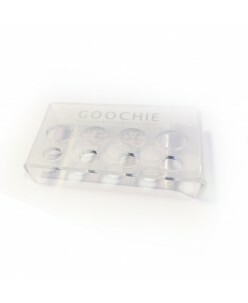 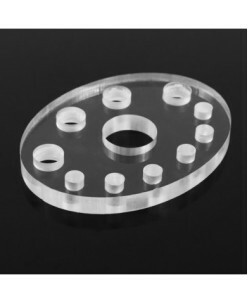 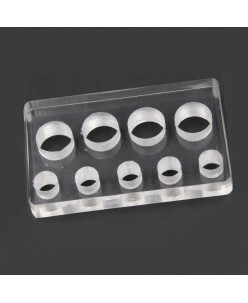 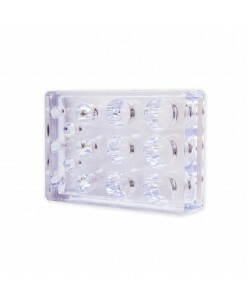 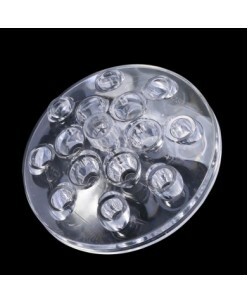 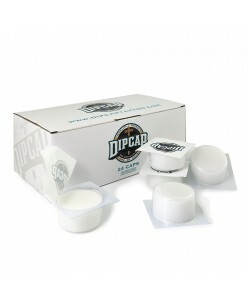 Plastic caps holder 6 holes (transparent) .. 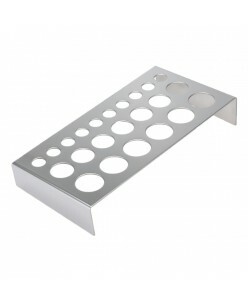 Caps holder 22 holes .. 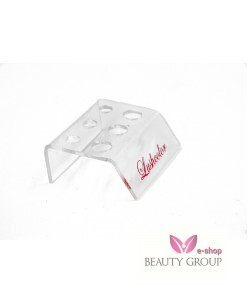 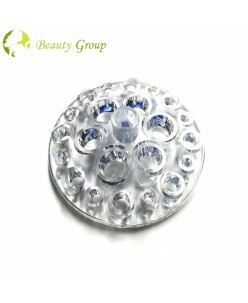 Plastic caps holder 8 holesColor: transparent..
Acrylic pigment containers and permanent makeup machine holder. 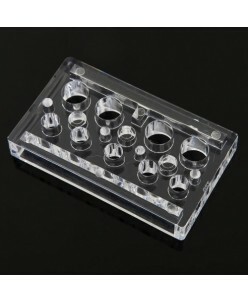 6 places for pigment containers 1 place for permanent make-up machine ..